Lost Steve Jobs Tapes Still Fifty Percent Lost! Last month Fast Company published “The Lost Steve Jobs Tapes”. When Journalist Brent Schlender discovered some three dozen tapes in his storage shed he brought them to Fast Company where a young staff member was given the grunt work of digitising the tapes for transcription. 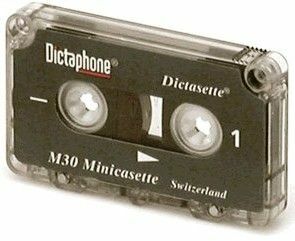 However, as a child the CD and MP3 era, the young staffer didn’t know that cassette tapes were two sided. The subsequent article was written and edited based on only half the recordings. Only after publication was the mistake discovered. Watch for text from the full recordings in Schlender’s upcoming book.